What do you know about laminate? Oh, laminate floor covering became popular. It is cheap and easy to use. 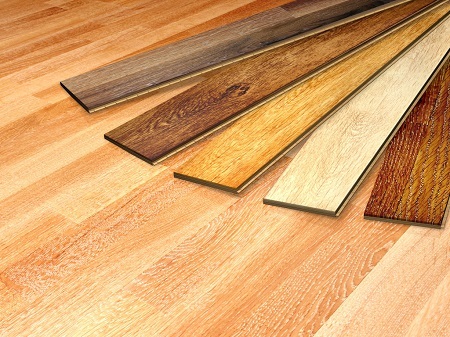 Nevertheless, laminate is highly competitive with other floor coverings, including hardwood parquet. As you know the price for parquet is dozens time higher than laminate. In short, this information is not new or secret. It would be better to speak about the laminate history. The history of laminate is very interesting. The Swiss company Perstorp offered to buy their laminated panels for sale in 1977. They were offered to use in form of floor covering. As the result of that experiment, laminate succeed in the building market. Perstorp started producing laminated material under the brand of Pergo. European market met laminate floor just in 1984. American market started using laminated floor is 1994. Of course, there were many differences. The boards were firstly glued during the process of montage. In short, the word laminate means layered material. Actually, laminate is multilayered floored covering. The upper layer is the main cover. It is predicted to protect the floor from the outer influence to be the clear membrane made of melamine synthetic resin. The next layer is a picture of your floor. It may be not only the wooden structure but stone, tile, colored laminate, decorated with interesting pictures for kids. Everything depends on your wishes. The third layer is compressed wood. It is hard and water resistant. As a rule, the layer is 8-12 millimeters. The lower layer is stabilizing layer. It usually protects your floor from water, temperature and deformation. Nevertheless, buyers know nothing about laminate structure. They think of two important criteria: price and appearance. There are many people, who cannot see difference between cheap and expensive laminate. It can be harmful and dangerous for health. Where to Start, Choosing Laminate? The first thing you should do, choosing the good laminate for your house, is find a good reliable partner – company that is ready to sell laminate for you. As a rule, such companies have their official web sites, where you can find all necessary information about producer, address, contacts, guarantee and other proposals. Do not believe to big phrases like the best covering, high technology or made by great masters. You should believe facts, documents, official proposals and positive feedbacks. If you want, you can ask for consultation first to learn everything about the laminated floor and partner-company. What Is the Difference Between Cheap and Expensive Laminate? Have you ever tried to find the difference between two types of laminate of different price? They look similarly adequate. The difference is huge! You know it is like comparing plastic and fresh fruits. The laminate floor is popular covering that is actively produced for 30 years. The producing of laminated boards are checked and controlled by European norms EN 13329 and EN 14041. These world standards give you a guarantee that you buy high quality product. The world standards are also a guarantee of ecologic, physical, industrial safety of your floor. 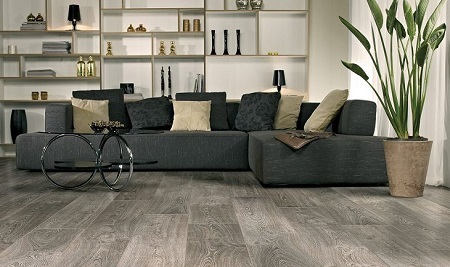 The guarantee term for modern laminate in Europe is more than 10 years. The glorious producers try to create different designs, forms, assortment and service. The structure of laminate floor is very important to make a good impression of your floor. You know, it is really difficult to find differences between wooden floor and laminated cover. The surfaces are similarly the same. Laminate is a perfect covering for allergists. It is not a secret but natural laminated floor is useful for health. If your family like clean floor and purity everywhere around, you should use laminated floor. This is a covering of advanced cleanness and comfort. The high class covering is absolutely safe, free from dangerous chemicals. It can be affirmed that modern laminate is a base of your healthy life. Breathe to the full! Laminated surface stops harmful microorganisms from increasing and damaging. They cannot feed and live in your floor to make your home safe. Are you afraid that laminated floor is difficult to take care of? Pay attention to the newest laminated brands. They give no way to dust and dirt. You can clean it easily. It is enough to use wet dust and let you floor shine like a new. Laminate floor is natural material. It is great that it looks natural. Your floor is absolutely ecologic, produced according to the newest technologies. It is made of 90% of wood. What kind of wood is usually used for laminated floor? The wood is ecologic clean and affirmed by PEFC and FSC certificates. High quality laminated surfaces is characterized with quality and high ecologic standards. Your floor is free from pesticides and harmful chemicals, excluding harm and damage to people health. Finally, it is very important to clean and take care of your floor. Do you think that laminated surfaces are difficult to clean? Of course, it is better to use laminate in dry aired rooms. You can use it for bedroom, kitchen, living room or hall. It is not recommended to use laminate for toilet and bathroom. It is afraid of slack water. What are the right cleaning measures for your floor? Everything is simple. You may use vacuum cleaner every day and wet dust once or twice a week. Never use strong chemicals and much water. Right cleaning measures help your floor to live for ages. Of course, it is not for ages, but for 6-10 years for sure. If you are ok by chatting online, you may learn many interesting things about laminate from experienced users. Remember, not all of them are right. Follow the instructions wisely. Thus, choosing the right floor for your home, think about laminated materials. You can find a lot of advantages. Firstly, it is cheaper than wooden floor. Nevertheless, there are many modern companies that produce laminated floor of high quality and original design. It is not really cheap! Who needs laminate? Of you want your floor looks elegant, original and attractive, you need laminate. If you need to get natural floor of original design and ecologic nature, think of laminated materials.